Two fab gals are better than one! And Fashion Team LA proves it! Fashion Team LA is a collaboration of wardrobe stylist/image consultant, Laura Hunt and professional photographer, Anne Phillips. Together they have created a fashion styling and photography dynamic duo experience where “L” brings the style and “A” brings the camera to the photo sessions. They’re a match made in fashion heaven! Learn more about the fashion dynamic duo here. We love ourselves a magazine all about life and style! Yeah, there are fashion magazines like Vogue, Elle and Marie Claire… but they don’t have what VERTICAL Tampa Bay magazine has – the unique Tampa Bay area. VERTICAL Tampa Bay Magazine is a virtual magazine that celebrates Tampa Bay fashion, flavor, travel, culture and beauty in every issue. Since Leslie Joy Ickowitz started the magazine in 2009, they’ve had high readership and involvement in the community. We love their stories and beautiful photography. They’ve even featured some of the TBFW designers, like Kimberly Hendrix (the picture above is Kimberly’s work on a previous cover)! Enjoy their latest (and 2nd anniversary) issue here. 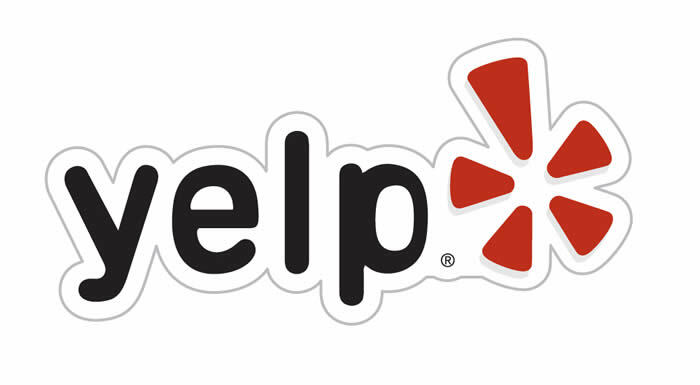 Yelp was founded in 2004 to help people find great local businesses like dentists, hair stylists and mechanics. How it works is businesses setup a free account to post photos, promotions and message customers. Then customers write reviews about the business on their Yelp page. In addition to reviews, you can use Yelp to find events (like Fashion Week Tampa Bay), lists and to talk with other Yelpers. They automatically filter reviews submitted to avoid displaying any suspicious ones. Users can count on Yelp! Download their mobile app and go to their website to start yelping! We’re so glad to have Fashion Team LA, VERTICAL Tampa Bay and Yelp onboard. They are helping us greatly with making this year’s Fashion Week Tampa Bay the best one yet! We appreciate all of their support. They truly care about providing all lovers of creativity a week of positive, high-fashion and artistic energy. Not only is this a “Sponsor Shout-Out” – it’s a big thank you! Join in on all the fashion fun on Sept. 20! Fashion Week Tampa Bay will be Sept. 20 – 24, 2011 and tickets are still available – Get them while they last on our website!